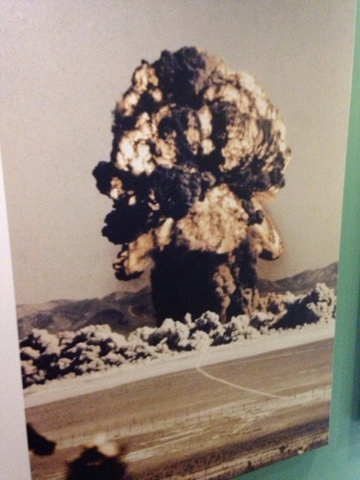 My visit to the National Atomic Testing Museum was a first for me. I have been to Las Vegas many many times and was not aware of this museum. The visit here was a nice change to all the touring of the Utah National Parks. 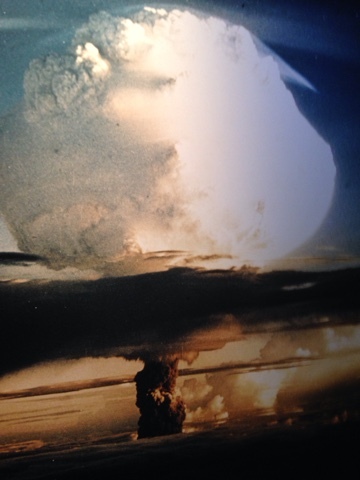 As the name suggests, the museum focuses on atomic testing in the USA with highlights of the Cold War and the Navada testing areas north of Las Vegas as well as Pacific islands. The museum takes visitors through the development of the Atonic Bomb. The nuclear testing above and below ground. 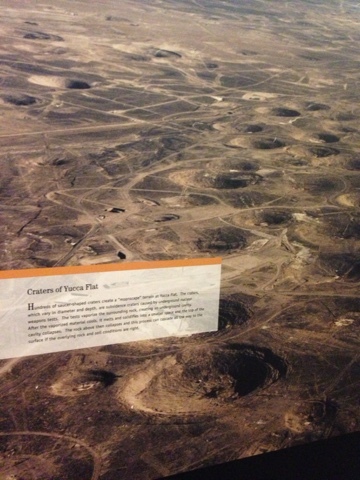 These craters are from the numerous underground testings of the Hydrogen Bomb in Navada. Hoes were drilled in the earth and when the detonation occurs the land caves in. This is a Hydrogen Bomb or what is referred to as a thermal nuclear bomb, so much more powerful than the Atom Bomb. Of course there is a lot more to see and learn in this well designed and layed out museum. In a city with so much glitz and glitter, here is a museum well suited for a visit about a mile off the strip. I wish I had know about this museum sooner.